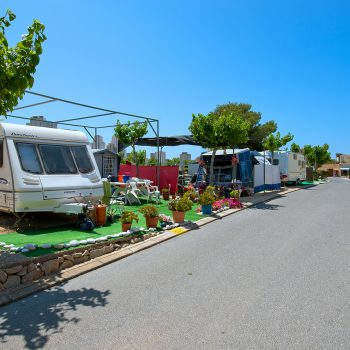 Villasol has a fantastic camping area with cabañas. 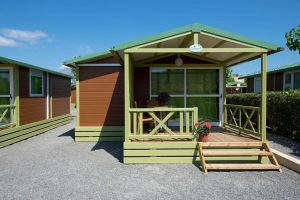 The cabañas in our campsite make a very welcoming residential area with fantastic bungalows. 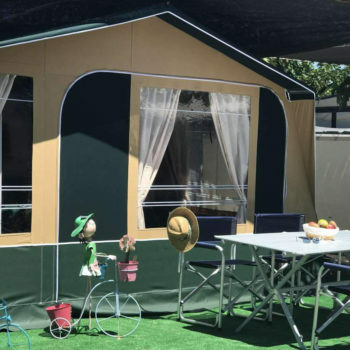 They are equipped with all facilities and services necessary for you to enjoy maximum comfort during your holiday in Benidorm, without foregoing the ambiance and fun of a camping. 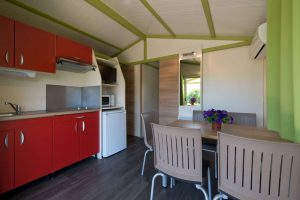 Camping with children or with friends, it’s more comfortable and just as fun in one of our cabañas. 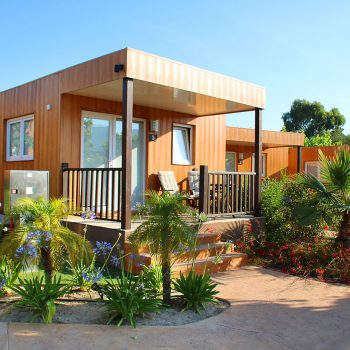 Each one of them is on a private lot, with enough space for you to park your car at the door with total peace of mind. They have 220V power, water, satellite TV and free WiFi service. 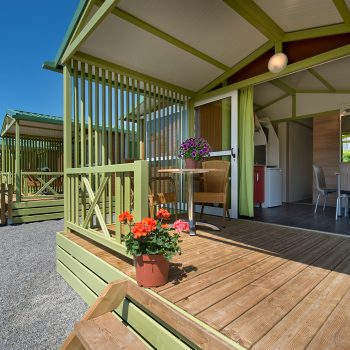 These cabañas have five-person capacity, with two rooms. 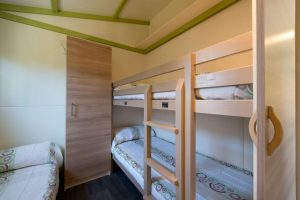 One of them has three beds, two of which are bunk beds, and the other room has a double bed. 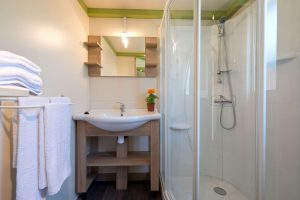 They have an equipped kitchen, dining room, terrace and WC with a shower and hot water, air conditioning, bedding, towels and cleaning upon entry. 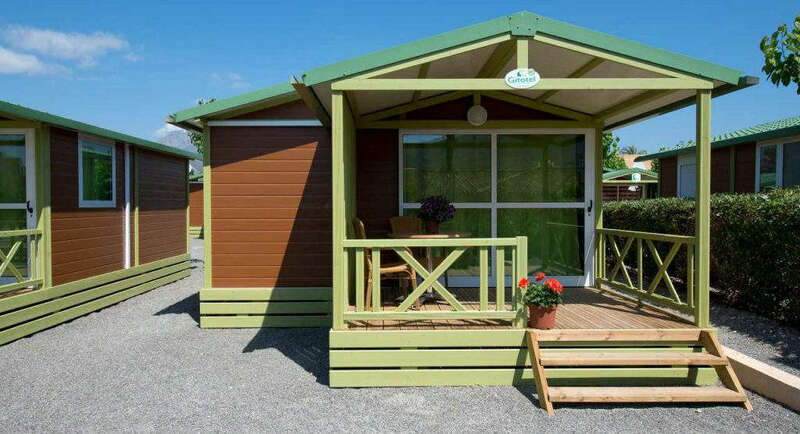 When you stay in our mobile home camping area, you can enjoy all the services, facilities and activities at the campsite: swimming pools, children’s entertainment and night-time entertainment, and much more. We offer you all the comfort, but you can enjoy the best of a campsite on the beach: contact with nature, sunshine, and the feeling of freedom. 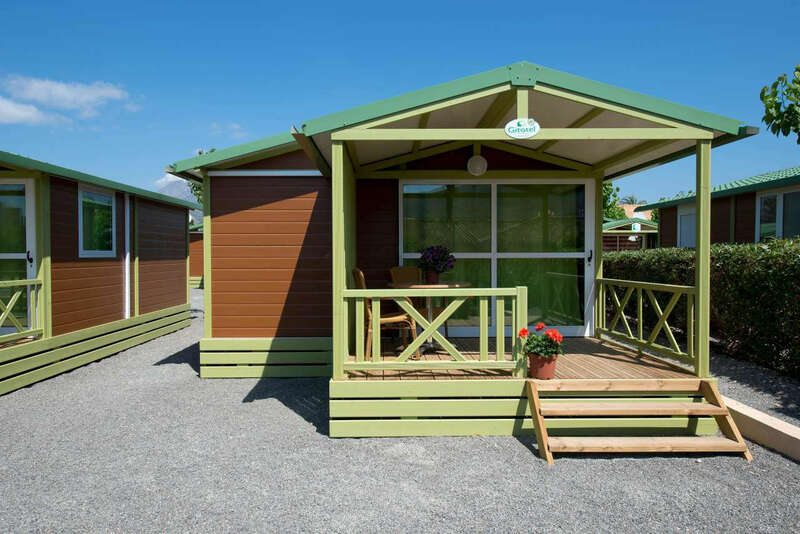 Join the best camping trend, and book one of our cabañas in Benidorm. 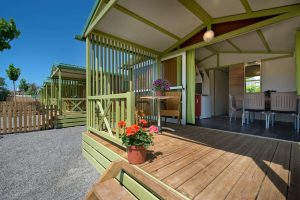 This type of lodging is ideal to enjoy both short and long stays. 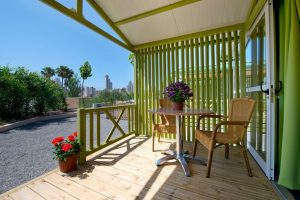 Book one of our cabañas for long periods of time if you want to enjoy Benidorm’s mild winter. The more days you stay, the cheaper it is! Don’t hesitate to check out our prices.